There were a few main reasons used for removing S54’s from GTS2 in 2016. Swaps were perceived to be increasing the cost of racing in GTS2. Since the addition of CC restrictions, not only have we seen the costs not go down, it’s actually gone up. Now wide tire 275+ setups have become pretty common. As e36 M’s have become “classics”, the cost of replacement engines have gone up along with the need to rebuild those higher mile motors. S54’s ($3,000) compared to S52’s ($2,000) have become the norm. S54’s are very common at junkyards as S52’s gradually become less available. S52 prices have gone up almost 50% in the last 3 years and that trend is likely to continue. To date there still has not been a single person to present data showing that there’s a real performance advantage of an S54 over an S52 at GTS2 power levels. The best acceleration data I saw from 2015 Nats was from an S52. And there were 2xS54 cars in that field. The belief that removing S54’s from GTS2 reduces the need for compliance just simply doesn’t make sense. If someone can easily cheat by 30whp (with a stock S52) then the additional ability to cheat by 100whp is irrelevant. This is power to weight racing. If a region doesn’t have a desire to have a dyno on site for compliance, cc restrictions does nothing to address those issues. 30whp is more than enough for a mid pack racer to easily win against better drivers. As N52’s and other S52 built variants become more prevalent with 300whp potential, you can’t continue to use cc restrictions as a compliance method. I know of a GTS2 2.5l N52 build with 290-300whp and 8500rpm redline. How are cc limits protecting anyone? I have seen no evidence that CC restrictions has lead to any increase in driver participation in GTS. As a matter of fact, it has completely ruined the GTS field in some regions. The purpose of new rules should be to improve racing and increase car counts. GTS2 has even started to lose some racers to ST4 which has an open rule set in regards to motors. Of the 23 ST4 cars at Nats (A class that has only been around for 2 years) 7 are GTS cars. Then you look at only 10 cars in GTS2 and there’s obviously room for improvement in the class. The same guys that were fastest in 2015 are the same ones fastest now with CC restrictions. A person can show up to GTS1-4 with a legal $150k Audi RS3 LMS 2.0T but you want to limit class options for a $20-25k e36 S54. It just simply makes no sense. AND a TCR car actually gets a .4 power bonus on the field because of it’s FWD. It’s also legal to run a destroked S54 that would certainly cost $15k+ and still make 300+ whp. I second this motion, and would even argue to remove all CC restrictions in GTS. Beauty of gts is the open ruleset. Let’s keep it open . I personally chose to rebuild an s52 over the winter over buying a new “junkyard” s52 because a ground up re-build had become about the same price as the junkyard. 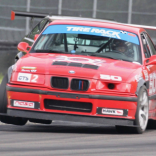 As racers in gts2 running the e36(pretty much all of us) we will see the need to rebuild or replace worn engines. Also, as we see s54s come down in price, it’s actually going to cost less to allow s54 swaps, as the cost of s52s increase. There is an abundance of s54s out there now for 3ish K. And detuned they will last a long time. After the initial investment, the operating costs will go down potentially. In addition it allows for flexibility in GTS being able to move between 2 and 3. Nice in regions where car counts fluctuate, to be able to have gts3 cars detune an s54 to come run with a larger gts2 field or vice versus. I third this motion. I would really like to see the cars that were pushed to empty classes thanks to perception, welcomed back into the fold and allowed to race where they want to. Another point to add. Arguably the most common gts2 motor the bmw s52. As these get older and used in hard racing, they're going to require rebuilds. I believe that a mild bore/hone and change to 87mm pistons (from 86.4) could push it over the current cc limit. I would vote for removing CC restriction across all GTS board. Would like to have flexibility to run between GTS4 or 3. I would vote for removing CC restriction across all GTS board. Would like to have flexibility run GTS4 or 3. My understanding after discussing with a race shop is that the S52 goes from 3152cc stock to 3256cc with the 87mm pistons. So yet another reason that the current cc limit is not appropriate. So maybe the limit should be even further raised to the 3256cc so rebuilt S52's aren't being screwed. I've always thought the CC limits put in place a couple years ago were ridiculous. The beauty of GTS is the open rule set so like Matt said.. let's keep them open! Agree to this and as somebody mentioned earlier, perhaps removing CC limits in all GTS classes should be the right choice. Those running in GTS2, it would be nice to have ability to jump in GTS3 without overhauling the car, and vice versa. I agree to either increase CC limit, or remove CC limit all together. I think GTS thrives without all the restrictions. CC limits never made sense. The 4.0L M60 in my E34 540 makes less power than most of the 2.8L M52's i've prepped for BMW CCA. Per the calculator for weight and power it is GTS2, but per displacement rules, it is GTS4. I say remove the CC limits completely. If someone (like myself) wants to show up with something old that wheezes out small HP numbers from large displacements, why is that such a terrible thing it needed to be banned? I also vote to remove the CC restriction as it doesn't benefit anyone and really only makes matters more complex/difficult. I also can second or third in saying that many S52 engines that are sourced are sourced cheap and then rebuilt. Sometimes that means pistons and cylinder dimensions change to fix or machine out the imperfections/warping/scoring/etc. In that circumstance there is a need to simply use an over sized piston to accommodate the new dimensions. It obviously increases the CC but being a restricted class anyway the "extra" power that is made is then cut back. I agree with everyone else in saying if there is a power to weight that has to be maintained anyway and power will be tuned to a certain level, what does the CC of the engine really matter anymore then? I support this too. I don't think S54 is much of an advantage in GTS2, even compared to my little old S50, and in 3+ you still have detuned monsters with the rule. If it makes it simpler and thus brings more cars to GTS it works for me. The limit to the CC is GTS2 is silly and hasn't cut costs in the series at all. The only thing it has done is alienate potential racers and limited the field size. I support the removal of the limitation and also allowing S54s back into GTS2. One thing that people like to say is “Well just run GTS3 if you are over 3200cc.” But that makes the major assumption that you even have GTS3 in your region. In Midatlantic you are either in GTS2 or choosing an ST class so you have a field to race against. Popularity of class is a very regional thing and that need for flexibility has to be taken into consideration with rules. I agree with this 100% and support the removal (or at least raising) of the CC restriction to accommodate for rebuilds. Support removal of the CC limits. Was never a fan to begin with. I would argue they should be removed 100%, or even higher, but at least this minor increase should allow those who were banned from GTS2 to return. The other problem was for GTS3 but perhaps it makes sense to propose them separately. Unfortunately I doubt anything will be done regarding this proposal, although we can always hope. So to further elaborate. After talking with a couple machine shops and engine builders about refreshing an s52. The math shows that any s52 that is bored out to accommodate 87mm pistons due to any scoring (common size and only about half a millimeter larger than oem ) changes the displacement to be illegal for gts2. I know a few motors currently in gs2 that have been rebuilt with this setup. So based on the current cc rules those motors are in violation. The fact that the newest s52 (most common gts2 motor) is 19 years old, and they’re beginning to climb in price very quickly, means that more of us will be choosing to rebuild these motors. At least increasing the displacement would allow this motor which is “natural” for the class to not be illegal after a rebuild. If that doesn’t happen I fear you will start seeing people post protest based on the fact that the motors are violating he cc rule and cause people to leave the series. I support this, or remove CC limits all together. I have yet to see any real advantage with bigger displacement motors being detuned to fit GTS. I am FOR this proposal.